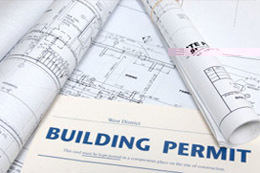 Effective for construction projects beginning on or after April 1, 2013, North Carolina law requires appointment of a lien agent. Apply for Building Applications and related forms from Macon County Inspections (349-2073) at 1834 Lakeside Drive in the Macon County Human Services Building (fee involved). The Applications, etc. are available in .pdf format from the link on the left - "Forms & Applications". The building inspections department currently has an email address set up for those who want to submit plans early for viewing by the inspections department. You may submit your plans via email by clicking here.